Regular exercise is just as important for pets as it is for human beings. Not only does it help keep their weight under control, but it keeps their joints supple and their heart healthy. Reduction in undesirable behaviors including chewing, barking, jumping up, and being predatory. Helping your dog to unwind and sleep better at night. Keeping your dog healthy and mobile. Reduction in constipation and digestive problems. 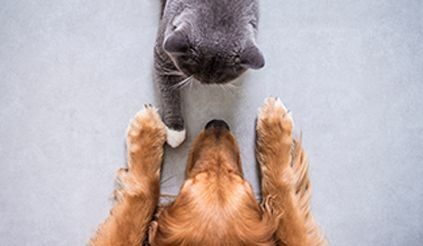 Building a rapport with your pet and gaining their trust. In recent years humans have adopted a more sedentary lifestyle, and our pets are following suit. However in order for our pets to live a long, happy and healthy life you need to ensure that activity is worked into their routine. 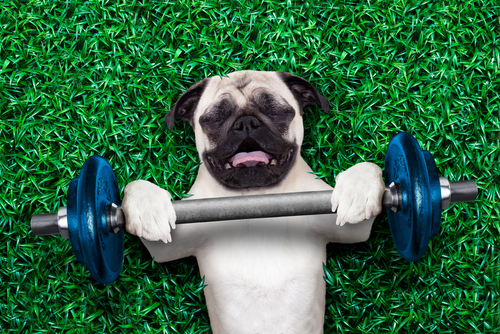 Here is our guide to helping your pet get more exercise. Until the start of the 20 th century dogs were primarily bred to work in a range of areas, for example military, farming, search and rescue and sensory support. Whilst some dogs still do work, the majority of them are now couch potatoes where they are provided with food and water and spend the majority of their time in a confined space. Their naturally active tendencies are fading and they are becoming lazy. Many people believe that access to a garden or yard counts as exercise, but unless you have the equivalent of a football field outside then it is not enough. Your dog will also doesn’t want to exercise alone. Interaction with him is the key to getting him moving. It doesn’t have to mean running for miles either. As long as your dog is moving and his heart rate is increasing then it counts as exercise! 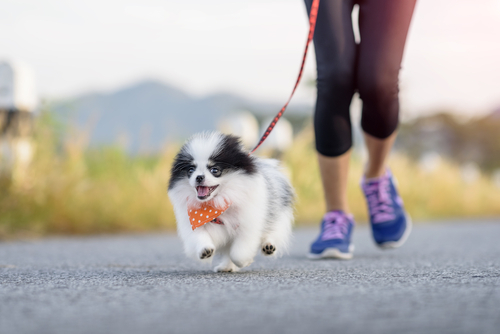 However before you start your pet off on a regular exercise routine there are a few things that you should take into consideration. Dogs exercise needs vary depending on their breed and size. months of age as their bones haven’t finished growing. Ideally you should always consult with your veterinarian before beginning any regular exercise with your pet. What sort of exercise can I do with my dog? Almost all dogs will benefit from at least one half hour long walk per day. Ideally try and take him at the same time every day. This helps your pet to get into a routine and is also beneficial for helping your dog know what time of day he will get to empty his bladder/bowels. If your dog is sociable then look into a local agility group or class. These can be quite competitive and intense but they provide a great workout for your pet and are a good way for you to make new friends too. Some of the activities that your pet will do are good for developing new skills too. Your veterinarian should be able to advise you how to find your nearest group. You can’t beat a game of fetch. Simple, effective and you don’t need to go too far. If the weather is poor then you can even play it indoors if you have enough space. If you live near a lake, river or beach then take your dog swimming. It is particularly good exercise for dogs with arthritis as it is gentle on their joints. If your dog is reluctant to get into the water, start by encouraging him to chase a ball or toy into the shallows. Play hide and seek. It is just as important for your pet to exercise their brain as well as their body. Hide and seek is a light physical activity that stimulates your pets cognitive abilities. REMEMBER: never let your dog off of his leash is you are not confident that he will return to you when called. Regular exercise is just as important for cats. Whilst they were never intended to work, more and more cats are choosing to stay indoors where they are warm and comfortable rather than roaming outside. You should try and spend at least 15 minutes each engaging your feline friend in some form of activity. Kittens and younger cats will happily play, but you mind find an older tubby tabby needs a lot of encouragement! Activities that stimulate the natural hunting instinct in your cat are usually the best received and there are plenty of tools that you can use to get them involved. These include feathers on sticks or string, a long piece of yarn, faux mice or birds or anything that they can chase. Make sure that you put any yarn or string away after to minimize the risk of them eating it! Another popular game is getting your cat to chase a beam of light. Use a small torch or a laser pointer. The narrower the point of light the better, as it will mimic a bug that your cat will delight in trying to hunt down. Cat trees are also a good investment. They help your cat to work her muscles and keep her joints supple. Climbing also naturally wears down the sharpness of their claws. Cats love sensory exploration so use open-ended cardboard boxes, long tubes, crunchy paper, bells and anything else that makes a noise to create a fun play area for them. 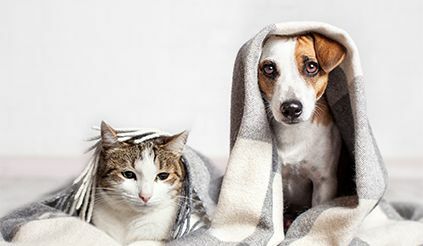 When it comes to the smaller animals in your household, you will still need to give them the opportunity to use their muscles and get their heart rate up. Ensure that cages are large enough to allow plenty of movement and if possible, create a safe outdoor space for them to run around in. Your pet retailer will be able to supply you with extended cages for climbing and accessories such as wheels which will encourage your pets to keep moving.